Happy new year! We hope you had a wonderful holiday season filled with quality time with friends and family. Now that it is January and you have had your fair share of turkey, it’s time to create a new list – one filled with restaurants you must visit this year (sans turkey)! 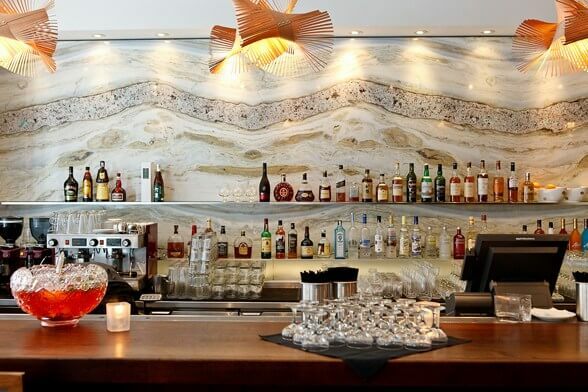 Vancouver is filled to the brim with many unique places to dine out at. No matter what your preferred cuisine is, there is something out there for you and your budget. Of course, we like to consider design alongside a fantastic food and drink menu, so we have put together a list of our top picks for you! If a scrumptious meal in a one-of-a-kind atmosphere sounds delightful, read on! Hawksworth restaurant is hands-down one of the best restaurants in Vancouver and is on the top of our list for a very good reason. Situated in the historic Rosewood Hotel Georgia, it is definitely one of the higher-end restaurants in the city. The restaurant opened in 2011 and was designed by the highly acclaimed Alessandro Munge. 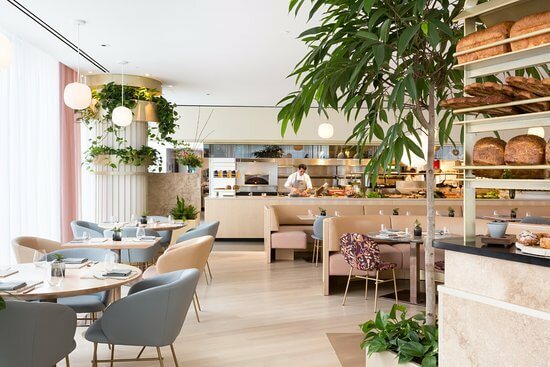 The design is sophisticated and elegant without being over the top and is the perfect backdrop for the carefully created menu by chef David Hawksworth. 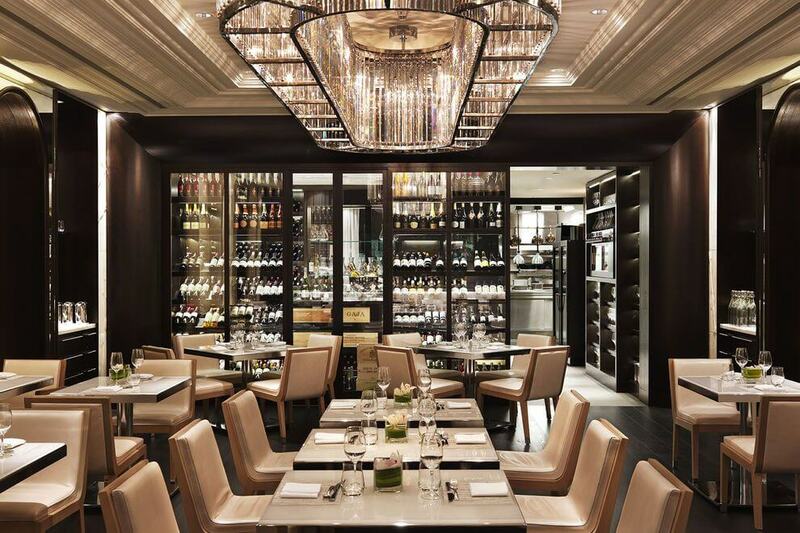 If dinner at Hawksworth restaurant is out of your budget, we suggest splurging on their brunch! It is equally as delicious and the service is always top notch. We highly recommend trying the steak and eggs! One of the newest additions to the Vancouver food scene is the Botanist. It is tucked away on the second floor of the Fairmont Pacific Rim and is a hidden gem you must discover. The restaurant is divided into different areas, each with its own cocktail menu, so if you come back more than once you will have a unique experience each time. The atmosphere is chic and inspired by the principles of botany with jewel-toned velvets on a backdrop of white and hints of wood designed by Ste Marie Design and Glasfurd & Walker. The plating of the food makes it look like a piece of art – almost to perfect to eat! The house-made fougasse bread with European whipped butter is absolutely delectable. You can also order some to take home with you! If you haven’t visited the new Parq, going for dinner at The Victor is your perfect excuse! This restaurant not even open a month yet – is sure to become one of the city’s favorites. It’s hard to miss the U-shaped copper façade of this brand-new building when driving into Vancouver on the Cambie Street bridge. Go up to the 6th floor through the tranquil rooftop urban park and there you will find The Victor. Moody with a hint of eclecticism, The Victor has an upbeat vibe that hints at the beginning of an eventful night at the Parq. 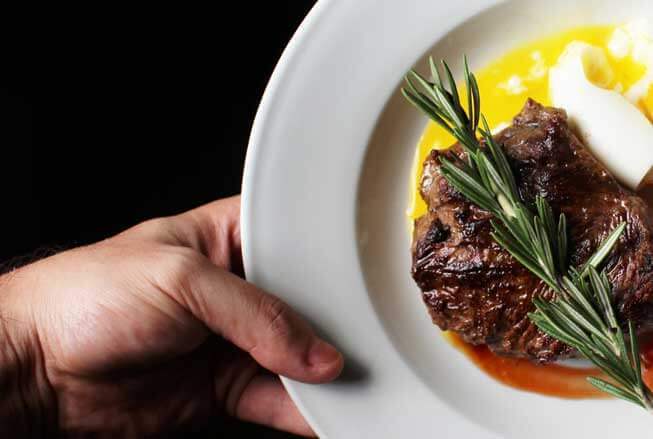 The restaurant is a steakhouse with an offering of Japanese cuisine – we would suggest sticking with the steaks though. Choose the cut of your choice and pair it with a couple sides! We can’t wait for the nice weather, so we can enjoy a cocktail outside on the well-landscaped rooftop. Since you are already at the Parq, hop over to the D/6 Lounge afterward for a nightcap next to their steam fireplace! Vancouver has no shortage of Chinese restaurants, but Mott 32 is not your typical one. 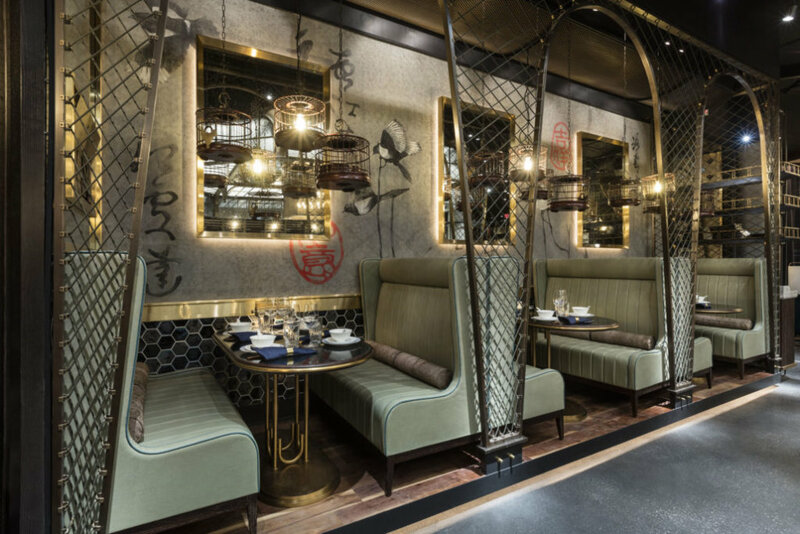 Nested in the iconic Trump Tower designed by the late Arthur Erickson, Mott 32 takes Chinese food to the next level in a contemporary setting. It is a celebrates the culture and cuisine of Hong Kong with a menu of principally Cantonese dishes. You have to try their made-to-order Hot & Sour Iberico Pork Shanghainese Soup Dumplings and Hong Kong Iced Tea! The retro-meets modern design and presentation of not only the interiors but also each dish are what makes Mott 32 truly unique. Peek into the private dining rooms to see how each one has its own character! Minami is a Yaletown favorite and top player in Vancouver’s thriving sushi scene. The trendy restaurant is designed with a welcoming, bright and modern Japanese palette. It is the sister restaurant to Miku in Coal Harbour and also offers the flame seared Aburi style sushi. It is very easy to enjoy an entire night filled with good conversation in this lively restaurant. The cuisine is as fresh as the interiors with Ocean Wise seafood options and regional ingredients. Make sure to try the Aburi Beef Carpaccio, Salmon Oshi Sushi and Sashimi Platter with sake!